The attack on innocent Muslims in New Zealand by white nationalist terrorists was a horrible thing. I make no excuse for white nationalist terrorists, or any other kind of terrorist. 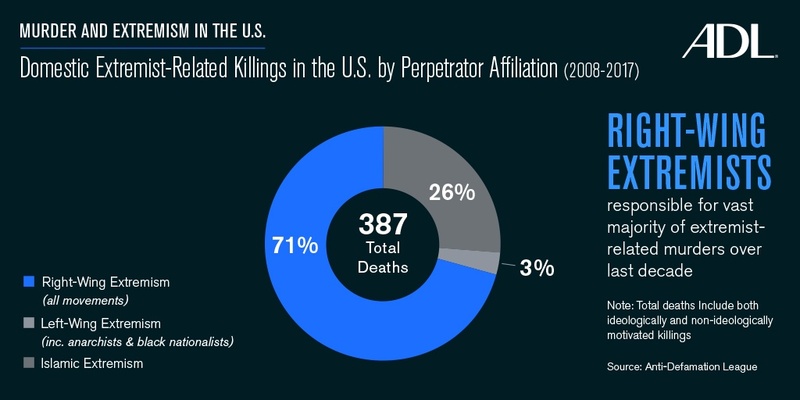 But I also note that many more innocent Muslims have been killed as a result of the U.S. war on terror than by all individual white nationalist terrorists combined. 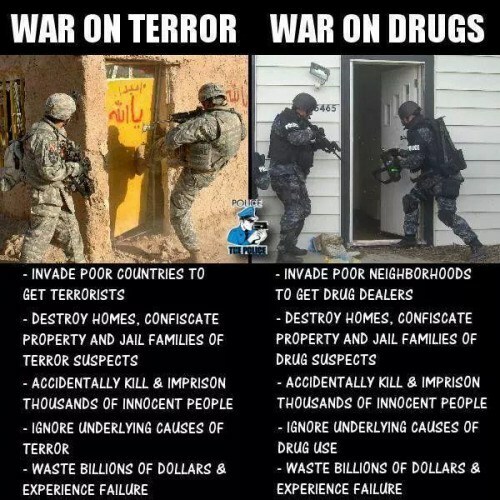 Hundreds of thousands of people in Afghanistan and Iraq have been killed, and millions made homeless as a result of the U.S. regime change wars. Many more have died in Libya and Syria as a result of regime change rebellions backed by the United States. The Saudi attack on Yemen, with U.S. advisers and U.S. weapons, has produced the world’s greatest humanitarian crisis. The Trump administration has decided to stop reporting on civilian casualties from U.S. air strikes. This is not, of course, to make light of the Christchurch attack. The blood on the hands of George W. Bush, Barack Obama, Hillary Clinton and Donald Trump does not wash any blood off the hands of Brenton Tarrant. Circles of Identity, Circles of Violence by Ian Welsh. Eight Thoughts on the Christchurch Attack by Caitlin Johnstone. Fear of White Genocide: the underground stream feeding right-wing causes by Doug Muder for The Weekly Sift. Good insight into Brenton Tarrant’s manifesto. Radicalization and Degeneration by Rod Dreher for The American Conservative. More insight. 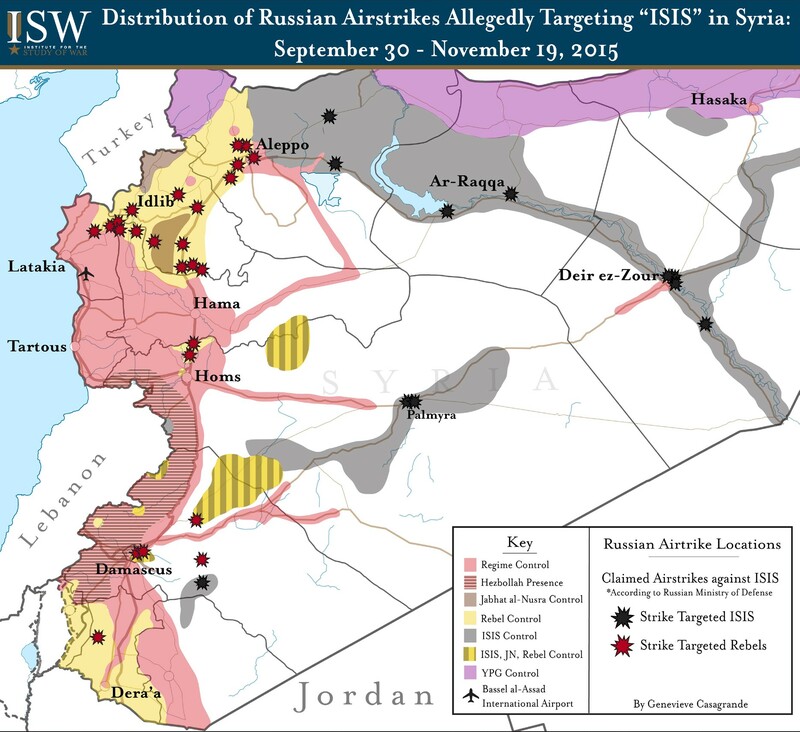 Russian-backed forces have defeated the so-called Islamic State in Syria. U.S.-backed forces have defeated the Islamic State in Iraq. Peace may be at hand. The winners in these wars were Russia, Iran, Syria, Hezbollah and the Shi’ite militias in Iraq. The losers, in addition to the Islamic State (aka ISIS, ISIL and Da’esh), were Al Qaeda, Saudi Arabia, the Gulf emirates and Israel. The United States was in a contradictory position. By invading Iraq and overthrowing the regime of Saddam Hussein, the U.S. gave power to Iraq’s Shi’ite majority, which is aligned with Iran. This went against long-range U.S. goals, which are to support Saudi Arabia and Israel. Also, the official justification for intervention in the Middle East was to fight Al Qaeda terrorists. But the regimes attacked by the U.S. government—Saddam’s Iraq and Assad’s Syria—were enemies of Al Qaeda, as was the Ayatollahs’ Iran. No matter what U.S. did, it would either strengthen Al Qaeda or strengthen Iran. Given the inherent contradiction in U.S. policy, I think the current outcome was the best that could be expected. Presidents Barack Obama and Donald Trump deserve credit for not escalating a new war to keep Russians out of Syria and Iranians out of Iraq. I’m not sure Hillary Clinton, given her record of starting wars, would have shown the same wisdom. Iraq War 3.0, the War to End All Wars, Is Over by Peter Van Buren for We Meant Well. 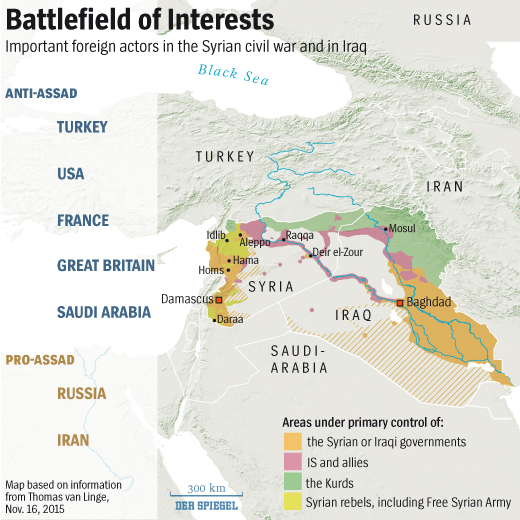 Are the Wars in Syria and Iraq Finally Coming to an End? by Patrick Cockburn for Counterpunch. ISIS vs. Iran: which side should we be on? 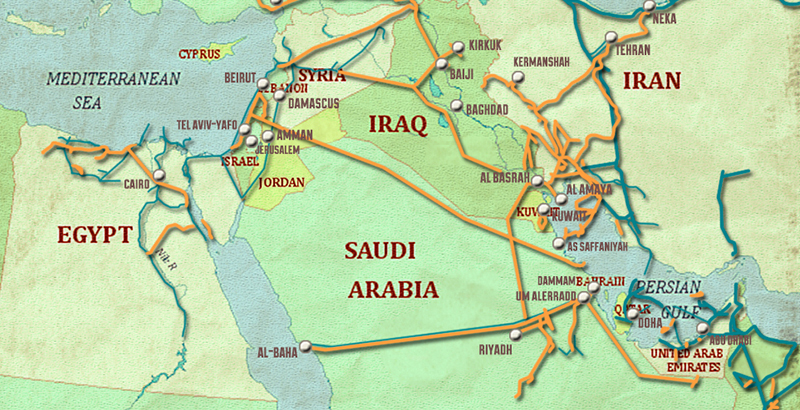 The ISIS attack on Iran shows the alignment of alliances in the Middle East. On one side, there are Saudi Arabia, the Gulf emirates, Al Qaeda, the Islamic State and also Israel. On the other, Iran, Syria, Hezbollah and Hamas. If the U.S. aim is to crush Al Qaeda and the Islamic State, why does the U.S. side with Saudi Arabia against Iran? When was the last time that Iranian-backed terrorists attacked people in Europe or North America? When was the last time that terrorists backed by Al Qaeda or ISIS attacked people in Israel? When Al Qaeda jihadist terrorists attacked the U.S. World Trade Center and the Pentagon on Sept. 11, 2001, it was part Osama bin Laden regarded the USA as the “far enemy” who propped up all the “near enemies” in the Arab world. 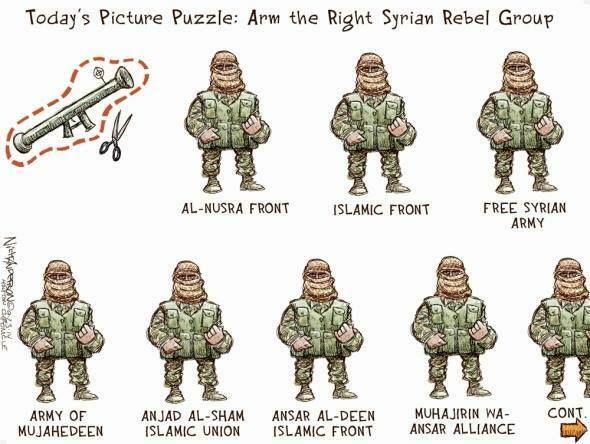 But for many of the jihadists fighting in Syria and Iraq, the “far enemy” is Vladimir Putin’s Russia, not the USA. A large number are Chechens, a Muslim nationality living mostly within the Russian Federalion, or Uzbeks, Tajiks, Kazakhs or others living under regimes in Central Asia that are propped up by Russia. One of Putin’s first actions when he came to power was to ruthlessly crush the independence movement in Chechnia. The justification was a series of terrorist attacks that were very likely a false flag attack by the Russian FSB. 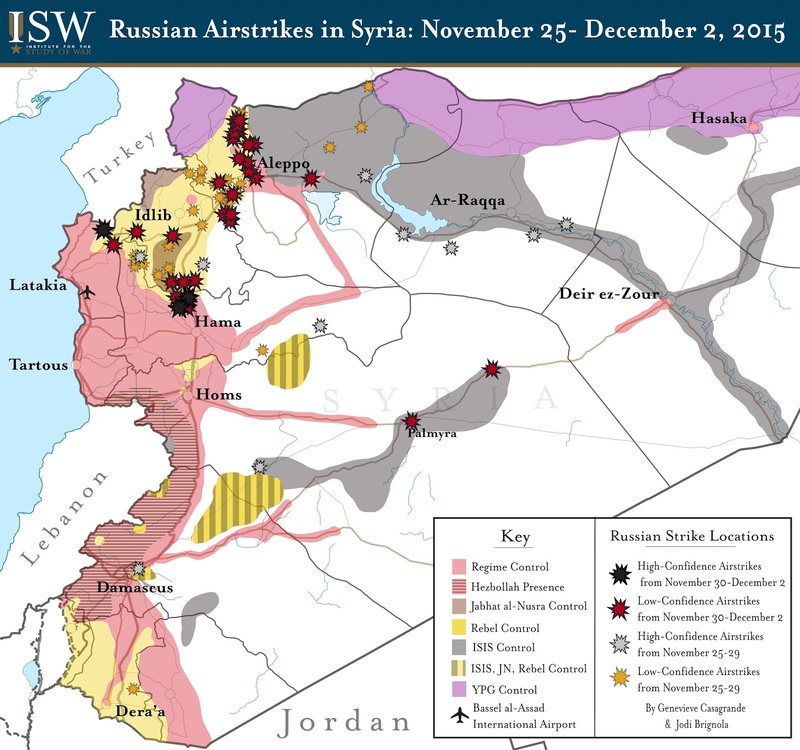 Since then many Chechen fighters have been driven out of Russia, and are now fighting the Russian-backed Assad government of Syria, along with Uzbeks and other nationalities from the former Soviet republics. Some analysts think that the export of jihadists is a conscious Russian strategy. 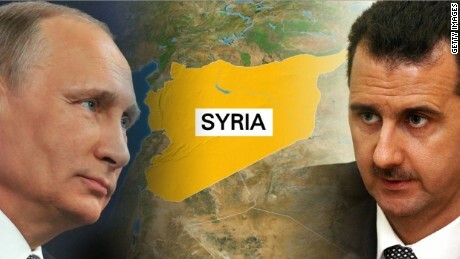 The best outcome, from the Russian point of view, is that they die fighting in Syria. But even if they survive, they have made themselves known to Russian intelligence services. Saudi Arabia does the same thing with its jihadist rebels—suppresses them at home and encourages them to go wage war in other countries. After the 9/11 attacks, the whole world, including the Muslim world, sympathized with the United States. The whole world, including the Muslim world, condemned the terrorist attacks that killed more than 3,000 innocent civilians. The U.S. government had an opportunity to unite the world in bringing the Al Qaeda terrorists to justice. This could have been a step to unite the international community behind a rule of law. 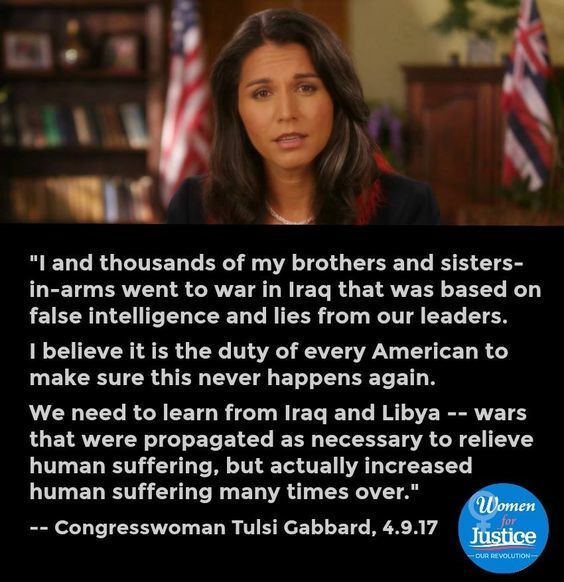 Instead the Bush administration chose to implement pre-existing plans to invade Iraq, whose leaders had nothing to do with the terrorist attacks. The Obama administration has done likewise with Libya, Syria and other countries. The result has been militarization of American life, eclipse of civil liberties and the deaths of many more innocent civilians in majority-Muslim countries than ever were killed in jihadist attacks on Americans and Europeans. Even worse, a generation of Americans has grown up in which all these things are normal. 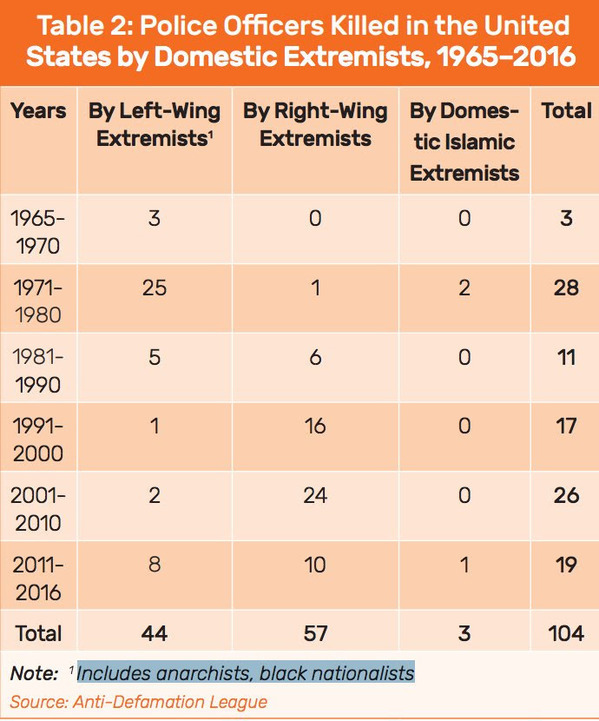 And jihadist terrorism, partly and maybe mainly as a result of U.S. policies, is stronger than ever before. Malik Jalal has traveled from Pakistan’s Waziristan border region to Britain so as to plead with President Obama to stop trying to kill him. Malik is an honorary title that means “village leader”. He is a member of the North Waziristan Peace Committee, whose mission is to negotiate with the Pakistan Taliban to reduce violence in the region. The committee’s work is sanctioned by the government of Pakistan. He has survived four attacks by Hellfire missiles and now sleeps out in the woods with his six-year-old son. He wrote in The Independent that he has information that the U.S. military wants to stop the work of the Peace Committee because they think peace would give the Taliban a secure sanctuary. Jalal wrote that the first attack came in 2010, when his nephew took his vehicle to a service station to get an oil change and to have the tires checked. A Hellfire missile hit Jalal’s vehicle and another vehicle parked just beside it. The nephew was injured and four innocent bystanders were killed. The next time he was driving to a peace conference, with another vehicle on the road behind, which happened to be the same shade of red as Jalal’s. A Hellfire missile destroyed the trailing vehicle and all four occupants, all innocent bystanders, were killed. Jalal became sure that he was the target after the next attack. He accepted a dinner invitation by cell phone and, while he was on the way, a Hellfire missile struck, killing three innocent people, including a father of three and a mentally retarded man. The fourth attack came early in 2011, when the Hellfire missile struck a meeting of community leaders, killing 40 people, none of whom, according to Jalal were engaged in acts of violence. Since then he has taken to sleeping out of doors on a mountainside far from his house and always parking his vehicle a long distance from any destination. Recently, he said, his six-year-old son has joined him on the mountainside. The little boy said it was unrealistic to think that the U.S. military would refrain from killing Jalal’s family just because he wasn’t at home. 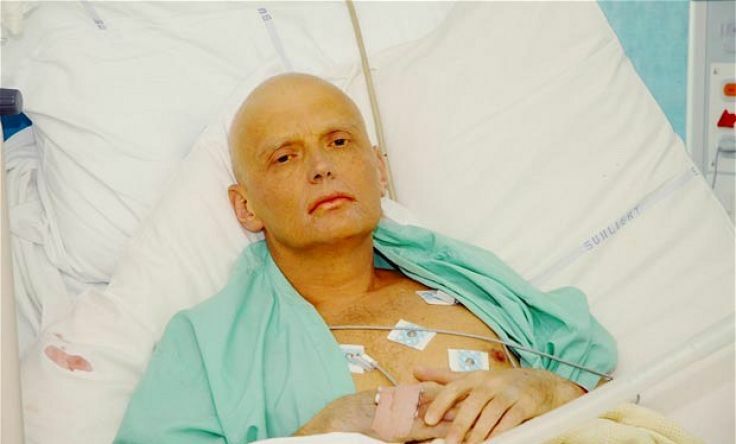 An official British inquiry has concluded that Vladimir Putin probably ordered the murder of Alexander Litvinenko, an FSB defector and whistleblower, in late 2006. I think it was obvious from the beginning that Putin not only ordered the killing, but wanted it to be known that he ordered the killing. How else could the killers have obtained the deadly radioactive isotope, Polonium 210, which was used to poison Litvinenko? Why else would they have used such a method unless they wanted to signal that this is what happens to defectors? They were not only eliminating an enemy. They were sending a message. This is not the only death of a Russian dissident on British soil under suspicious circumstances. In 2012, a Russian whistle-blower named Alexander Perepilichnyy, who was due to testify against a Russian company in a $200 million fraud case, was poisoned in Britain with an extract from rare plant known as “heartbreak grass” and found in the mountains of Asia. In 2013, Boris Berezovsky, a Russian opposition figure in exile, was found dead by hanging. The coroner’s verdict was suicide, but years before Scotland Yard foiled an apparent assassin who’d traveled to Britain from Russia. Should Apple decrypt the i-Phone for the FBI? The FBI demands Apple Computer to figure out a way to read encrypted files on an i-Phone owned by an alleged terrorist. Apple Computer’s management says there is no way to do this without opening up all i-Phone files to the FBI. The case is likely to go all the way to the Supreme Court. Suppose the FBI wins its case. Suppose a year later the national police in Russia, China or Iran, arrest an elleged terrrorist and demand that Appple create a similar tool for them? Do the Russian, Chinese or Iranian security services automatically get access to all i-Phones? As Peter Van Buren remarked, this means that either the terrorist watch list is bogus, or Homeland Security has a bad internal security problem, or possibly both. This isn’t the only problem with Homeland Security. In a recent covert security check, attempts to smuggle firearms on board airplanes were 95 percent successful. I think that part of the problem is the enormous and thoughtless expansion of Homeland Security right after the 9/11 attacks and since. In counter-terrorism, as in any other field, there is a limited number of people who know that they’re doing. This is not necessarily a problem, as long as the loyal, hard-working, mediocre people are guided by the real experts. But employment in Homeland Security was ramped up just on general principles before anybody had a clear idea what these employees were to be used for. I think experienced counter-terrorism specialists were swamped. The Washington Post ran a series of articles in 2010 on Top Secret America that showed that secret surveillance and intelligence agencies were proliferating at such a rate that nobody had a handle on how many there were or what their missions were. I’ve read nothing to indicate that things have changed since then. Why so few terrorist attacks on the USA? A blogger named Fred Reed, pointing out how potentially vulnerable the United States is, wonders why there have been so few successful terrorist attacks on the United States. My guess is that the reason is that Muslim citizens and residents appreciate the religious freedom and acceptance they enjoy in the United States. 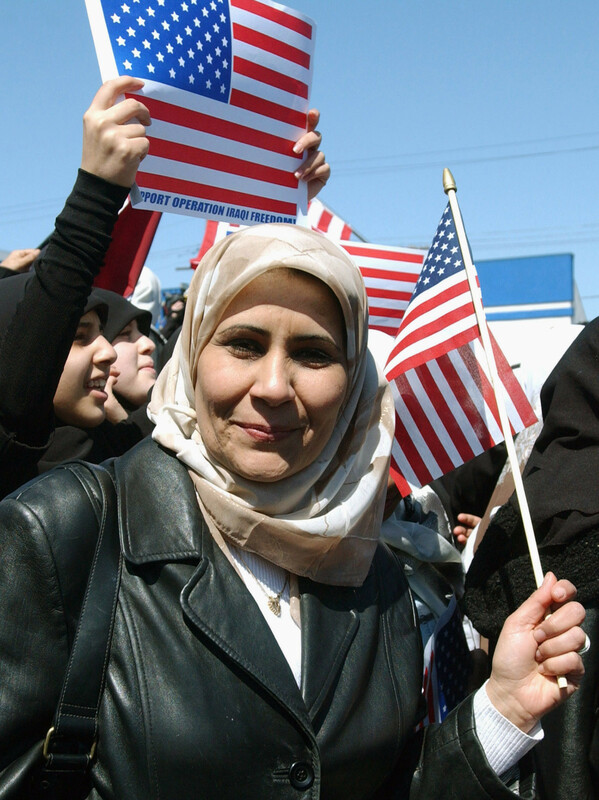 There is ignorant prejudice against Muslims in the United States, which I have criticized, but I believe that overall Muslims in the United States enjoy greater freedom than they do in Russia, China, India or even many majority-Muslim countries. I am proud of the American heritage of religious freedom, and I would hate to see anything diminish it.